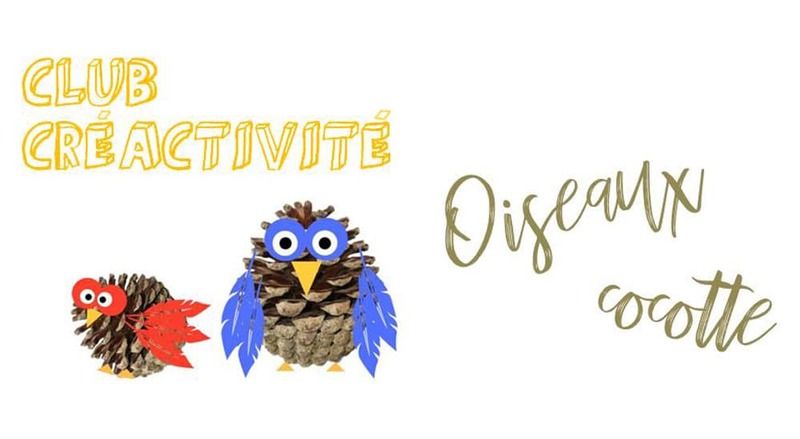 In September, for the return of the CreActivity Clubs: Make pinecone birds! To accompany the return to school, Club’s animators have prepared a colorful pinecone bird craft, made with handpicked pinecones from our forest! Saturday, September 15 at 10am at the Museopark. Limited to 30 places only, reservations via [email protected] or 613-842-9871 ext. 0.